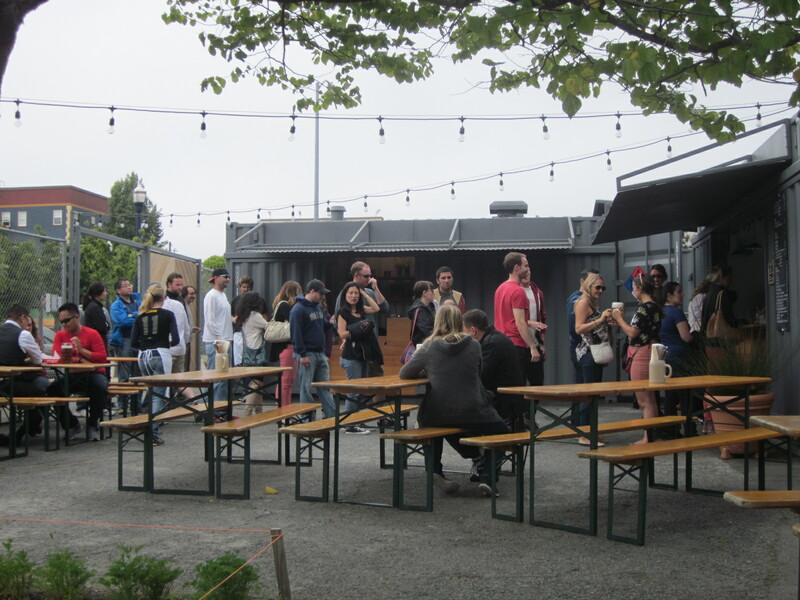 After the somewhat hidden and eclectic Zeitgeist beer garden, I wander over to another thoroughly popular beer garden: Biergarten. 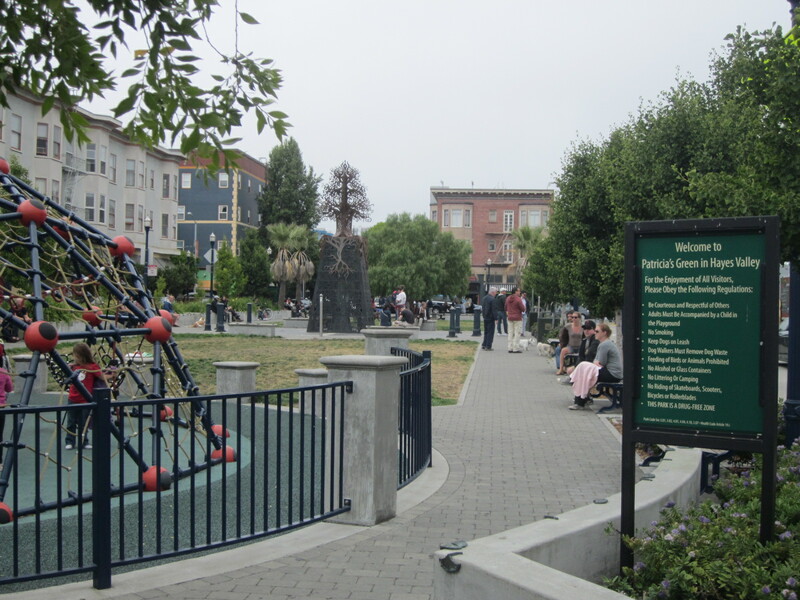 Using a mixture of smartphone and moxie, we maneuvered our way to a pleasant neighborhood with a row of relatively new hip open air establishments lining the outside of a cool little park. We get there a little early for their relatively odd hours of operation: 3-9pm. It seems too late for lunchtime and closes by peak going-out time. 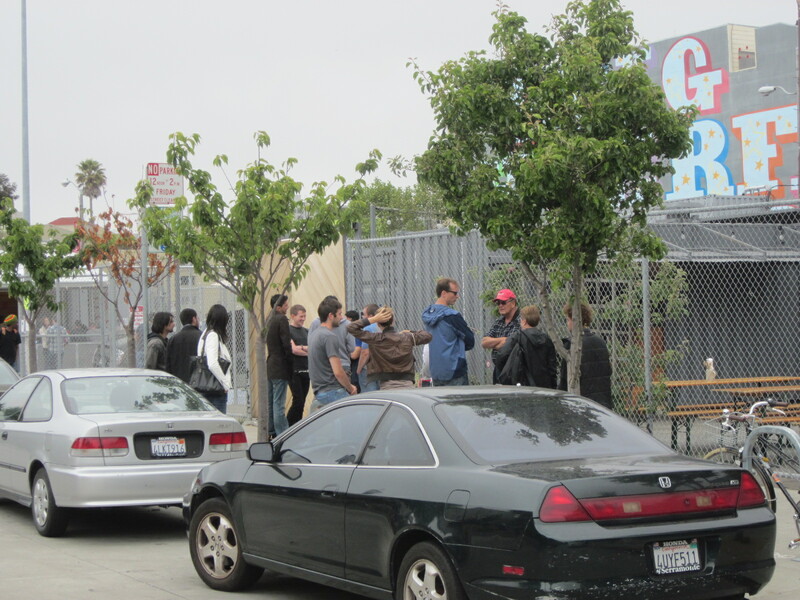 Nonetheless, we have saved our appetite for here and are eager to get some food and brews as we look through the chain-link fence. 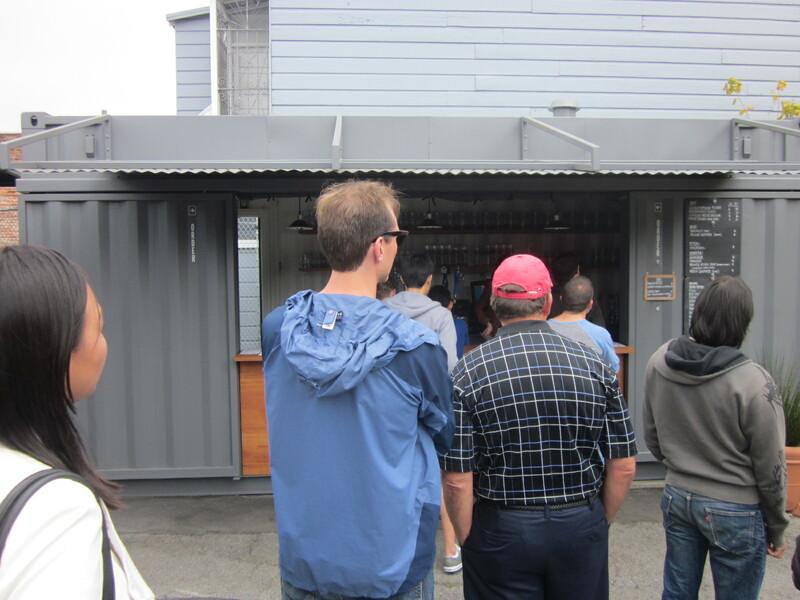 Despite the unusual hours, a significant line begins to form in front of the large sliding wooden entranceway as the minutes count down to 3pm. A great bearded man finally slides the door open and lets the eager crowd in. 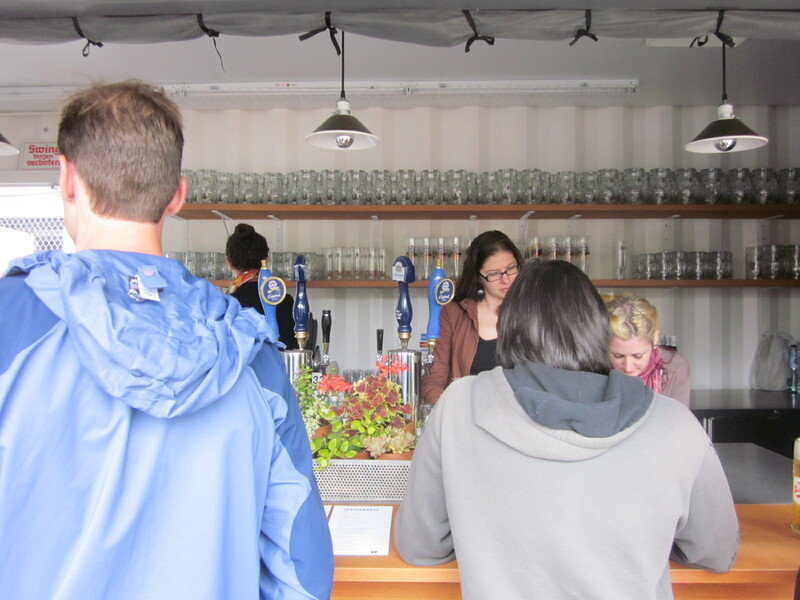 Everyone makes a B-line for the blue/grey boxcar container that housed the German beer taps, so we do the same. 3 beautiful ladies are smiling and set up to take orders for brews and food. 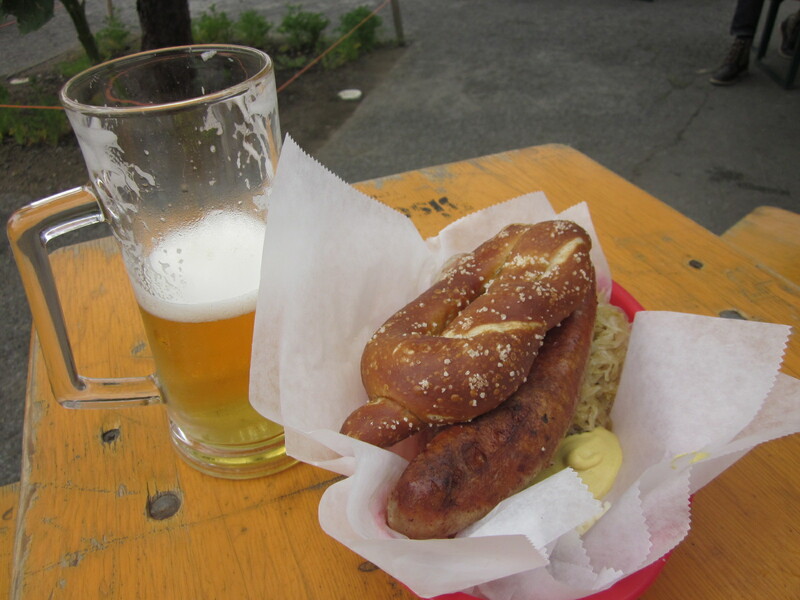 I start with a pilsner and the brat basket on this sunny day. We find an open table around the tree. I seriously love this little tree! 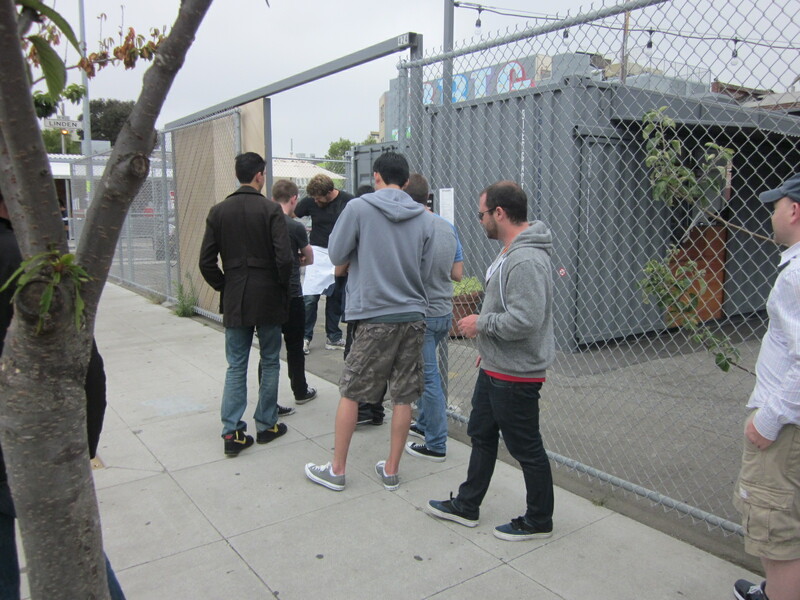 The grounds are rather small and simple. There is a single wonderful tree in the center of the space. 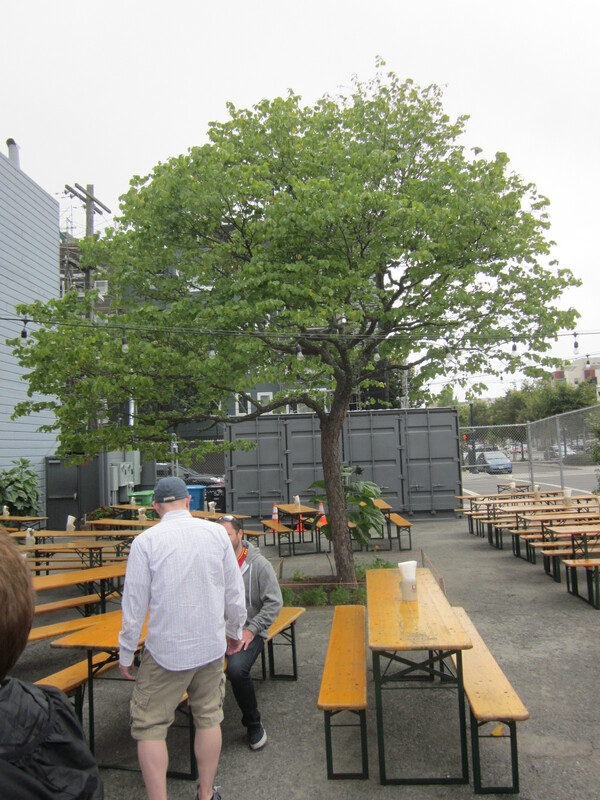 Traditional beer garden tables are lined up against the fence on the street side as well as a semi circle of tables wrapping around the enchanting tree at its’ heart. 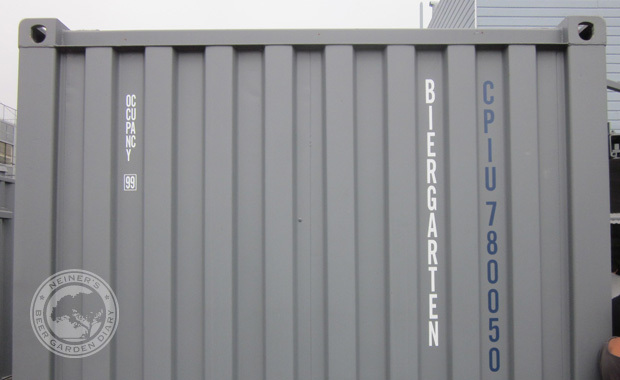 Boxcar containers make up the structural aspect of the establishment. One each for storage, serving, kitchen, bathrooms and office. Everything is delightfully simple. Nothing is over done. The food and beer menus are small but just the right size. I love it when a business clamps down on its’ concept, and delivers it simply, confidently and consistently. 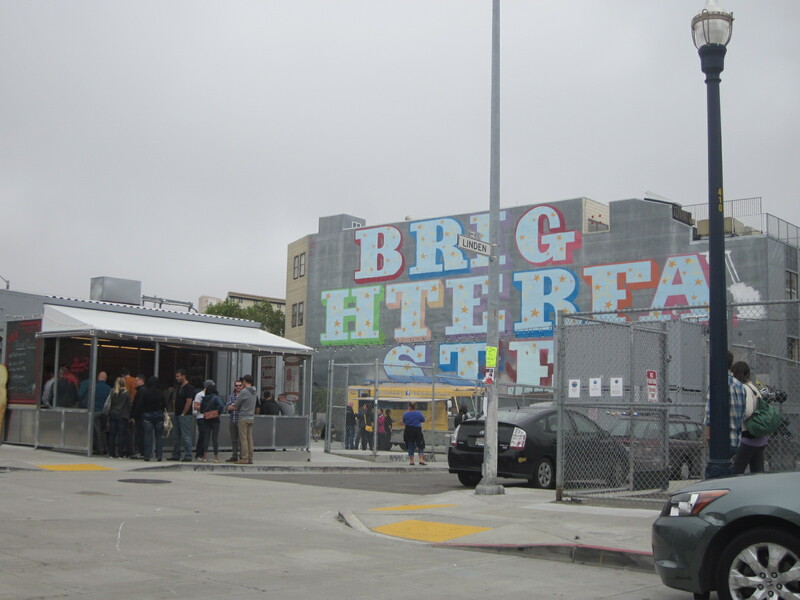 Because of this, the line never really dies down while we are there, even 30 minutes later when the place is filled to capacity. We get our brats delivered to our table with a nice soft pretzel on top. 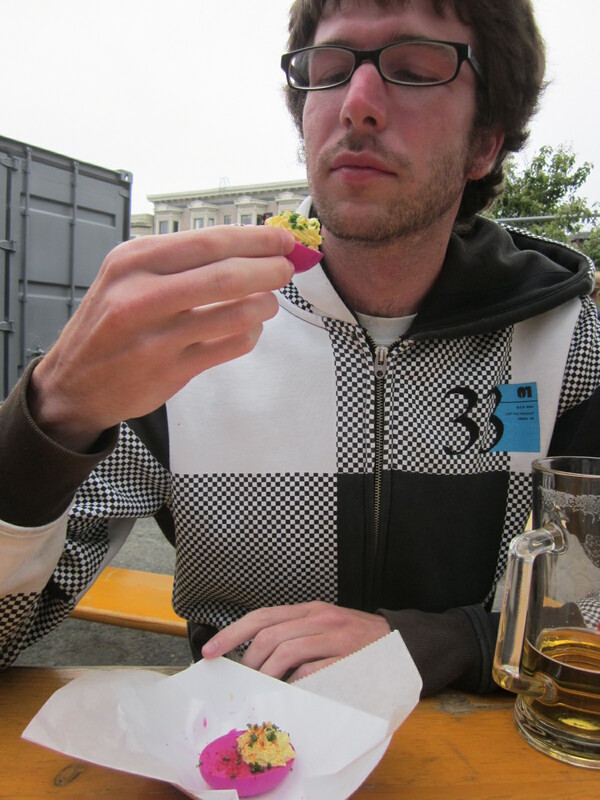 We see people eating purple deviled eggs, so of course we must try them too. They are great! We enjoy a few brews as a super nice woman comes to take our empty food trays and glasses away. 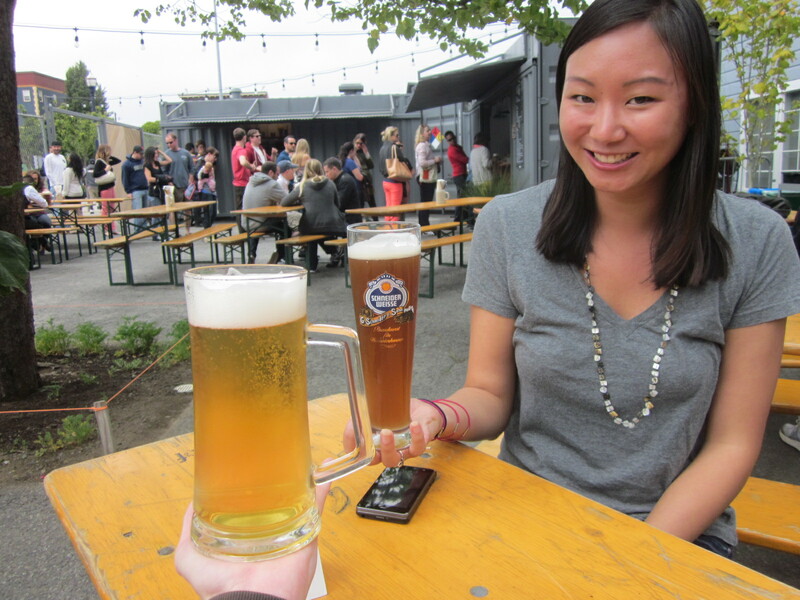 It turns out that she is the mother of the two men who own and operate Biergarten. 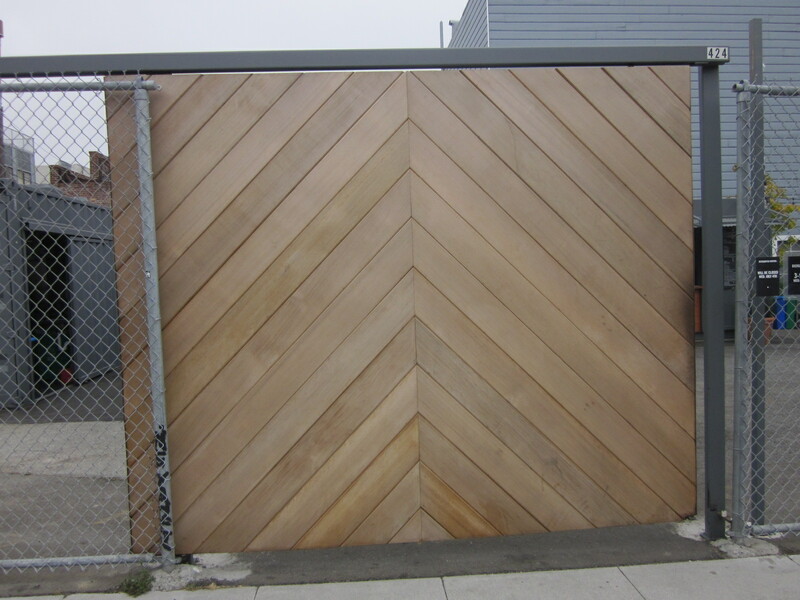 The great bearded man who open the gate and his nearly identical brother (sans beard) had recently opened up as part of a temporary establishment project for the strip of land on that side of the park. It’s a 5 year project, so this place will be here for at least a little while longer, but it’s popularity should extend that a great deal. They are also connected to an authentic German restaurant right down the street. The German-ness runs deep with these guys! 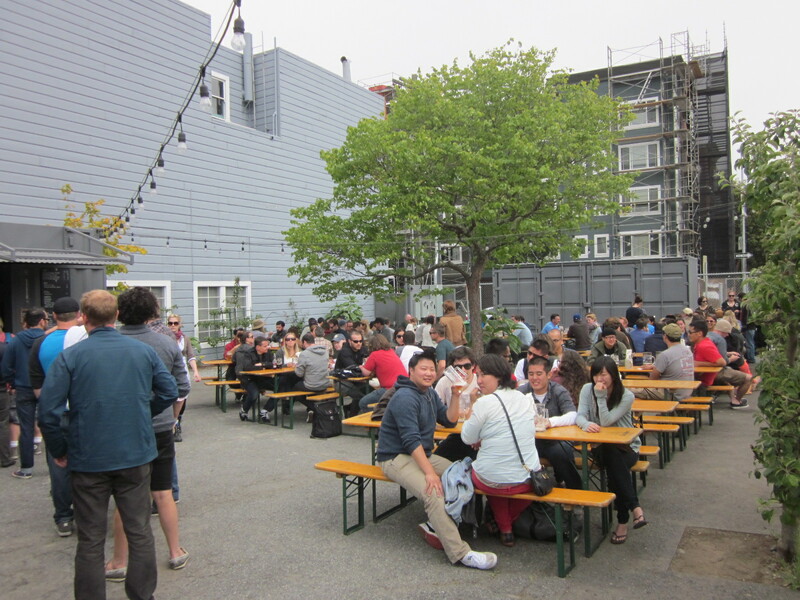 We sit and drink for longer than we expected, and thanks to San Francisco’s terrific transportation system, it ain’t no thang but a chicken wing. 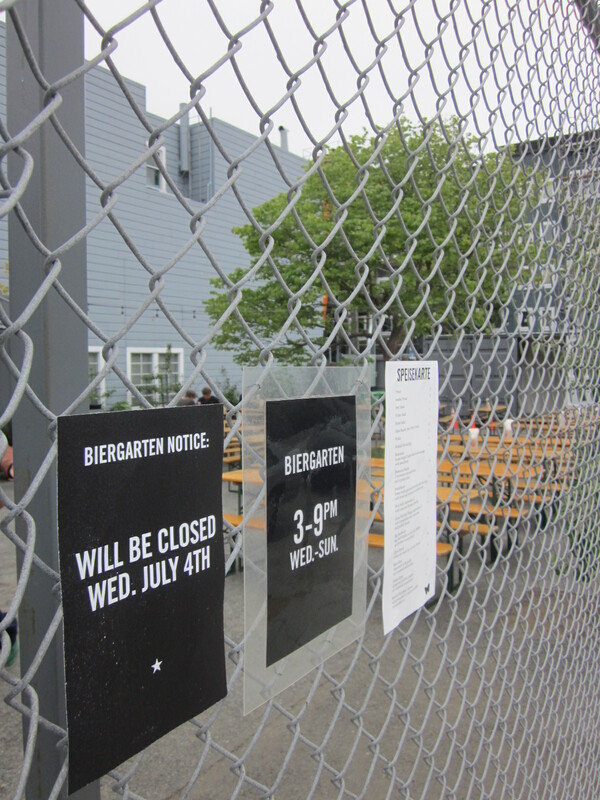 Biergarten shows that simplicity rules. Packed with a line out the gate from opening until we left a few hours later. Great things come in small packages.